From writing song after song, bringing them into a recording studio, creating the perfect sound and replicating it as many times as necessary, getting those mixes back can feel like Christmas morning. At least, it did for Brandon Zastrow. 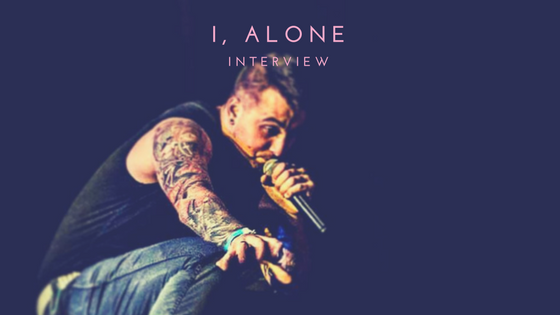 I, Alone is Zastrow’s project that he began in 2017. When deciding upon naming the project versus going the solo artist route, the symbolism of him being the lone mastermind behind it all was something he enjoyed. His debut EP, Collateral Beauty, released in December and was created at CrossTrax Studios in Memphis, Tennessee. It was produced, engineered and mixed by former 12 Stone guitarist Justin Rimer, who also contributed to much of the instrumentation as well. Zastrow went into the studio with around 25 songs before narrowing it down to six. Being able to take the music inside his head and put it out into the universe is the most enjoyable aspect for him, and the process went better than he could have expected thanks to his effortless working relationship with Rimer. Lyrically, the aesthetic with I, Alone involves a lot of symbolism and metaphor. He’s not the type to add anything into his songs just because it’s something that fits. He finds that painting broad yet descriptive pictures allows the listener to interpret the songs in a way that makes them applicable to their own lives. By doing this, interpretations thus far have been diverse and fiercely positive. “A song is a journey and each phrase must set you up, or take you somewhere. I try not to put restrictions on my sound, but rather let the song call for what it needs. I have to let the listener take the message to their heart. I cannot do that myself,” Zastrow said. It’s no surprise in addition to doing his homework before entering a studio, he’s done the same for all aspects of this project. He’s put in the time and effort to create quality music that has meaning and purpose. While his journey as I, Alone has just begun, it’s a journey he’s well-prepared for.